Before Christmas there was a surge of crisps morphing into crackers and let’s face it they weren’t all that. 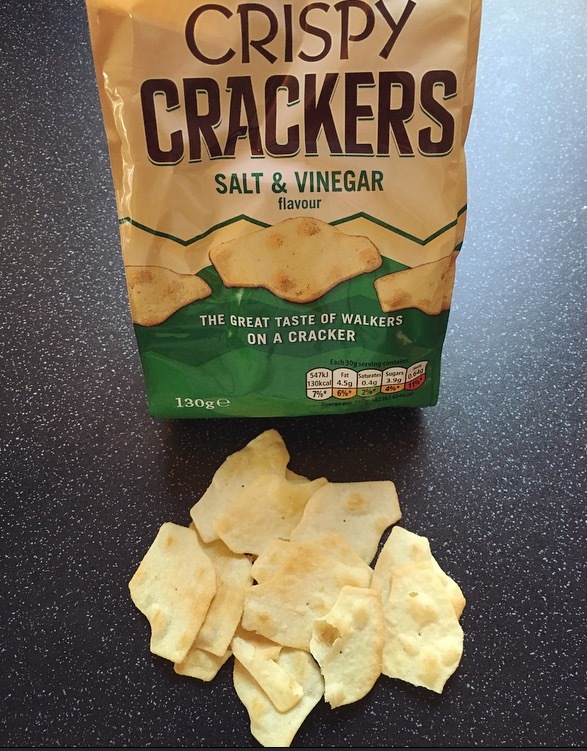 Whilst pootling up the aisles of Sainsbury’s Walkers have now jumped on the crisp and cracker hybrid wagon and devised Walkers Crispy Crackers and Melty Crackers. They come in 4 flavours – Salt & Vinegar, Cheddar Cheese, Sweet Chilli and Sour Cream and Onion, today’s post is all about the Crispy Crackers. Salt and Vinegar is hands down my favourite flavour in all the land. 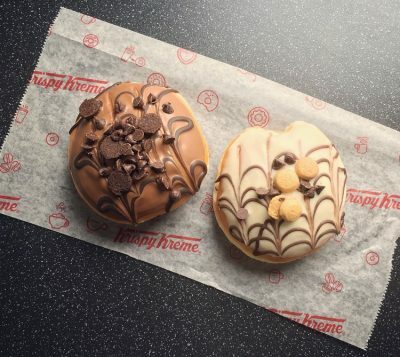 In fact the saltier and vinegary the better. Pouring out most were intact with some being slightly more crunched than others. These do bare a striking resemblance to the Ritz Crisp and Thins, however I can report that these do not taste of banana. Huzzah! There is the slight hint of salt and vinegar, more vinegar than salt, but nowhere near the intense flavour that I was hoping for. It seemed that there was more salt on my fingers from eating these than there was staying put on the crispy crackers, hence the lack of salt. They are crispy and incredibly thin, it is certainly chuck a few in at a time rather than eating one at a time. These are one of the nicer crisp cracker hybrids but by no means the best in salt and vinegar flavour. If I were you stick with the Walkers original Salt & Vinegar Crisps! These looked exactly like the Salt and Vinegar ones with the exception that these had a more yellow coating from the cheese. A strong cheesy smell was evident just from opening the bag, and this translated into the taste as well. These certainly packed a cheesy punch that had a far more prominent flavour than the previous Crispy Crackers and were indeed rather pleasantly moreish. 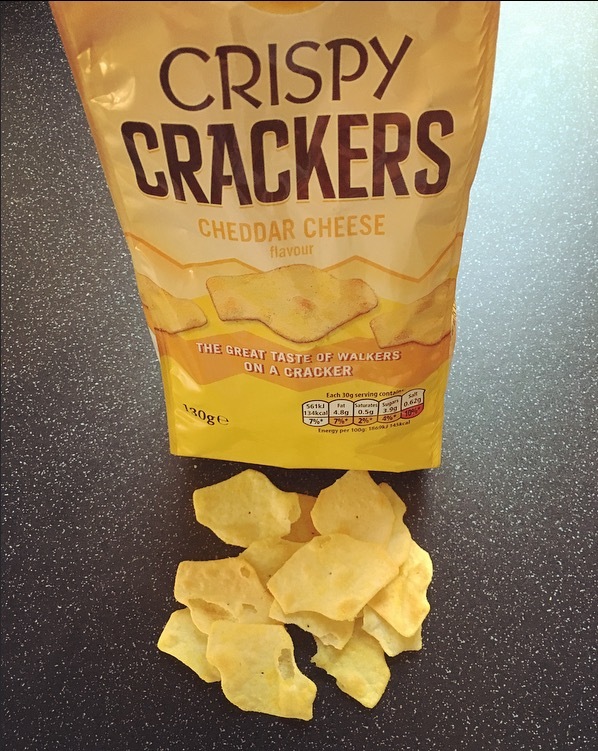 They aren’t the most authentic in taste but when has a cheesy crisp even been like the real deal? 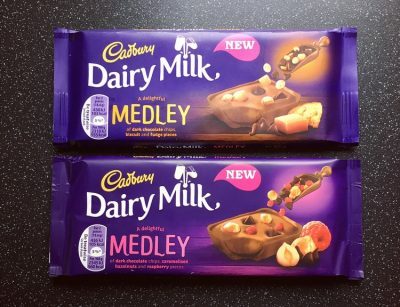 That said this is a far better pairing for the Crispy Crackers, well you cannot go wrong with crackers and cheese can you, Snack Warrior’s Nanny Dearest would quite agree! 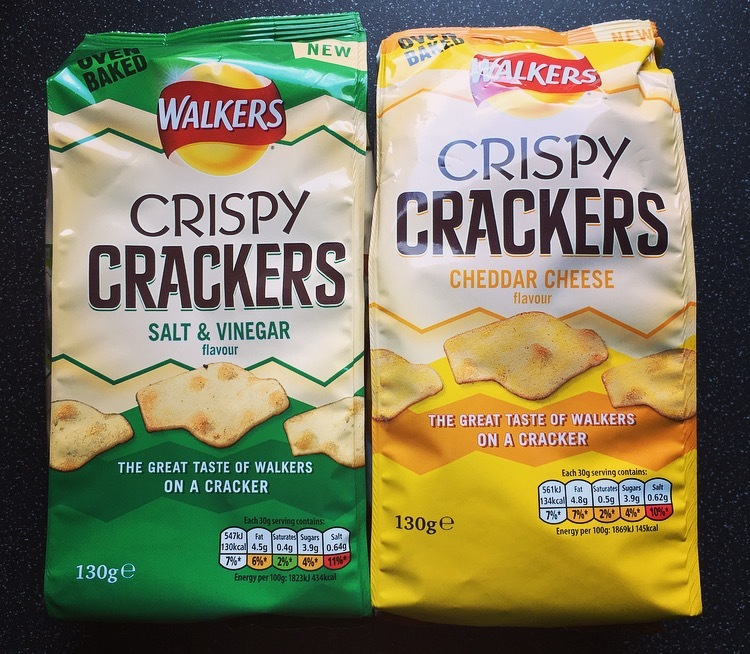 Of the two Walkers Crispy Crackers these Cheddar Cheese ones are the tastiest and the ones I would go back to again.